What Malaysia lacks is a digital/gaming convention/festival. Although we do have the PIKOM fair, it's not exactly a gamers thing as what we have there are mostly tech-only-related, and erm...some stock clearance, cheaper stuff plus some demos occasionally and maybe awkward little gaming-related booths. That's it.What we really need, is a convention (or a festival, whatever you want to call it) as big as PIKOM, but twice and thrice as eventful as it. 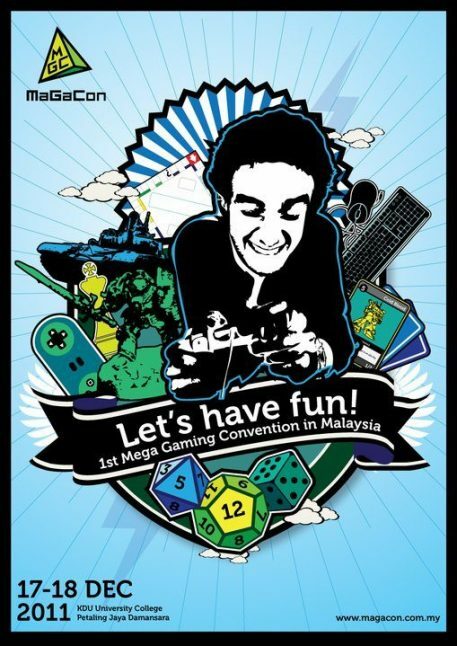 And this year, we finally have our first ever "Mega Gaming Convention", or better know as MaGaCon. Like any other international conventions, MaGaCon aims to gather Malaysian gamers together in the spirit of the gaming culture, while experiencing more than merely gaming itself. Excited? Malaysia's first gaming convention will be held in KDU college on the 17th and 18th of December and will boast an array of activities - from Role-playing to LAN Games. For starters, console and PC games (about 32 computers) will be available (free of course) and various LAN games will be organised to increase the hype. Although 32 computers may not be enough, especially since there will be some who are reluctant to give the seat away to others, it is a start and it will be enough for active speculation and discussions. At the same time, boardgame tournaments will also be held (don't underestimate them) as Monopoly and Monopoly deal sets the arena between boardgame enthusiasts. For those who are avid miniature collectors, MaGaCon will host the platform for you to unleash and showcase your dedicated army. There will be a Warhammer 40K hobby tournament and a Pewter Demon painting competition, where players will design their miniatures on the spot. 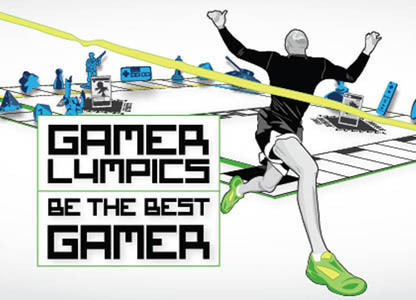 But the biggest thing of Malaysia's first ever Gaming Convention is arguably the Gamerlympics (a olympics-themed gaming tournament duhh) with a golden opportunity to gain an all-expense paid trip to the next Penny Arcade Expo (PAX) in the United States wow! Through the tournament, you will be able to pick up several awards/titles across the various platforms, like "Stud of the Gamer Ladies", "The Dude", "The Pwn-er" and ultimately (should be), "Game Lord of Malaysia" muahaha! LOL. However, the another first of its kind tournament is all about fun, fun, and more fun so just throw everything you got and enjoy. That said, you should register as soon as possible (after checking out my other posts of course :P) as it is only limited to 256 players. Register your tickets here to get the cheapest price of only RM20 for the two days. Quick!